The greatest teachers in life are rarely the ones with great advice. They are remarkable role models who consistently show the way, while asking the kind of questions that stop us in our tracks. Their questions infect us with the kind of curiosity that leads us in the direction of our own answers. You know the kind of person I’m talking about. Their question pierces through our internal chatter and commands the truth we’ve been searching for. In November of 2016, I witnessed a teacher so committed to his craft that he not only showed the way, but provoked questions in me in a way that has changed me forever. On day two of a three-day business retreat, Mark LeBlanc dropped to his knees in front of fifteen highly ambitious business owners. With his hands clasped in prayer, he opted to forgo asking us to begin tracking specific business numbers every day, and he full out begged. Mark is a remarkably successful businessman, speaker and business coach. He doesn’t need to beg anyone to buy from him. In fact, he gives away valuable content and turns away business until he sees a perfect fit, both energetically and practically. Yet—he stood on that stage, dropped to his knees and sincerely begged us to take action immediately and consistently, citing specific success stories from those who followed his advice. But I’d heard many business coaches recite such facts, and make similar suggestions. So, what made Mark different? He got down on his knees and begged us. Sincerely begged us. He wasn’t begging to get something from us. He was begging because he’s desperately committed to our long-term success. Of course, he also knows our success is his success. His passion and commitment to learning and sharing was infectious and instructive. 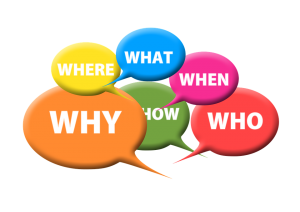 It conjured up in me a set of questions that has radically altered my focus for 2017. What result is worthy of my begging? What result do I believe so strongly in that I would literally drop to my knees with sincere commitment of creating? This question is worth sitting with for a few days, even weeks. When I’m not concerned with money, status, achievement or survival, what do I most enjoy doing? What topic(s) most intrigues me? How much time do I devote to feeding my curiosity? Without realizing it, we often put our curiosities to the side and force ourselves to focus (as best we can) on doing the work we should and abandon the work that feeds our soul. Fortunately, we can do both—feed our families and our curiosity. In fact, Elizabeth Gilbert wrote an exceptional book about this very topic called Big Magic. Who do I most enjoy sharing time with? By creating an ever-expanding list of people we enjoy sharing time with, we naturally begin looking for ways to spend more time with them. The more time we spend with them, the less time we have for those we don’t. Who can I focus on helping to reach their goals/dreams? It’s entirely too easy to become obsessed with and exhausted by our own success. By balancing our goals with giving, we release the pressure while increasing our impact. The key here is to focus on helping them, rather than serving our unconscious agenda. True service is serene regardless of outcome. Speaking of giving—I would love to hear about your goals and dreams. If I can play even a small part in making them a reality, I would be honored. P.S. A very special “Thank you” goes to Mark LeBlanc for leading the way to greatness.